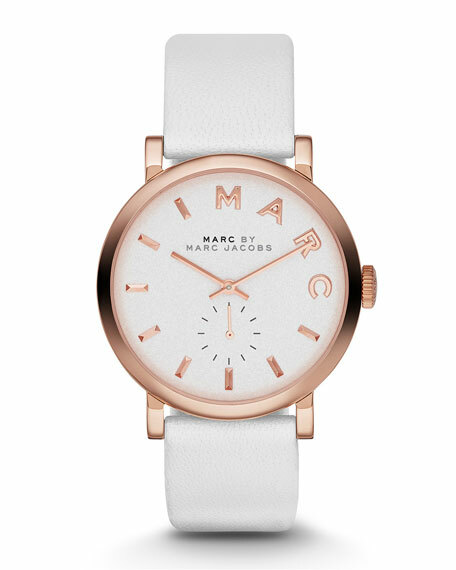 Baker watch by MARC by Marc Jacobs. 36mm rose golden round stainless steel case. White dial with applied MARC and time markers. For in-store inquiries, use sku #1539738.